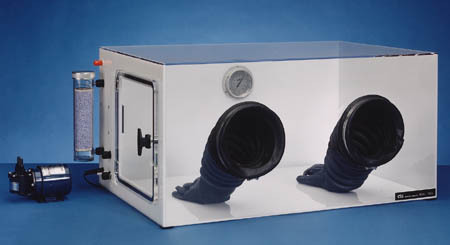 The Controlled Environment Chamber is made from 0.25" clear and white acrylic with internal volume of 9 cu. ft. The equipment is designed to provide a controlled environment for conditioning, research, testing, fabrication and storage. Access Opening: 12" x 12"